Even though clover seems pretty common, not so new, and generally recognized as safe (whether in 21 CFR 182.10 or via common sense), this article does serve as a good reminder that brewers can’t just use any article that is lying around the field or the grocery store. 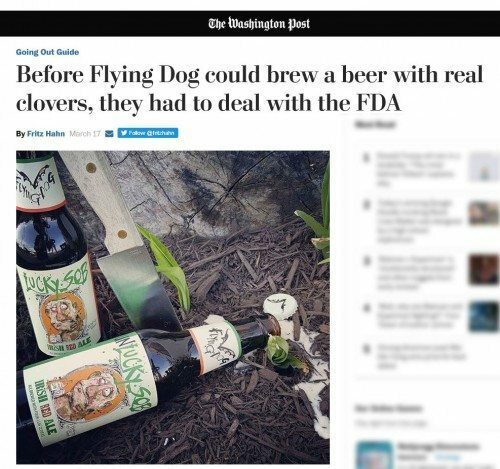 Some things need a TTB and an FDA ok first. Update. Hark. I got lucky. A nice person alerted me that the COLA is here.